In a glass of Conegliano Valdobbiadene Prosecco Superiore we find the quality of a territory, but also the beauty and culture of the places that have a lot to tell. 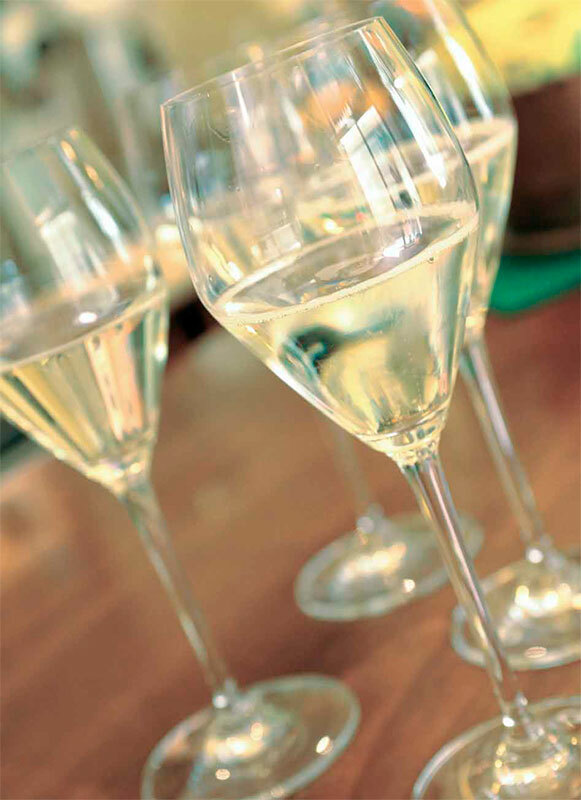 The history of Prosecco is an ancient story, linked to the territory. Aromas and flavors that come from the perfect blend of sweet microclimate and soil-old, originated by the lifting of the seabed. 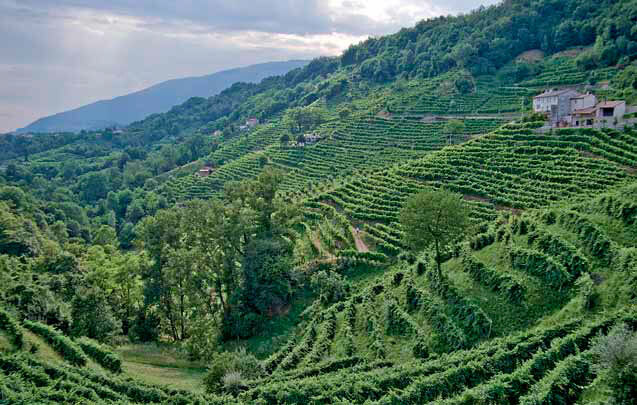 The land of Prosecco extends on the hills of the province of Treviso, between the towns of Conegliano and Valdobbiadene. A series of hill chains that are followed up from the plains to the foothills. 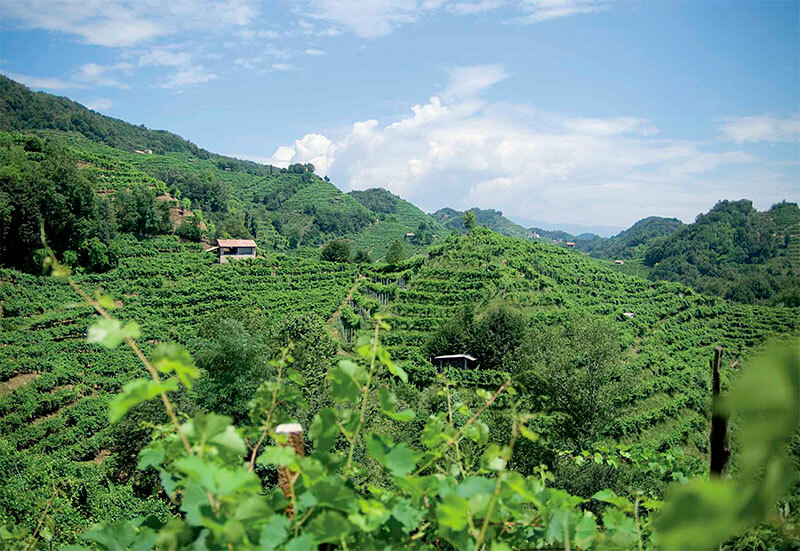 If Conegliano is considered the cultural center of the Prosecco zone and home to the Wine School and research institutions, Valdobbiadene, which annually hosts the National Spumante, forms the production heart. The Conegliano-Valdobbiadene was born just here, in this unique microclimate and soil composition, the elegance, freshness, vitality of its bubbles, are the pleasant end of this territory unique and original, able to stand out for its physical and geographical form. The plants are treated by hand, gently, to the tricky nature of the terrain: steep and inacessible to mechannical means. They are grown up to heightsof 500 meters, on slopes that can reach 70%. The wines are characterized by intense aromas of wisterie and white flowers, ripe fruit and tropical notes, peach, apricot and a light tone of citrus in the background. Wine sparkling companies are over a hundred, which is the area of Conegliano-Valdobbiadene the most important italian wine district specializing in the production of sparkling wine with the Charmant metod. The climate of the district, with soil characteristics and exposures mainly southern slopes, make this area ideal for viticulture. A pleasant climate, so tat historically the Venetian nobles used to spend the summer in these places to escape to the heart lagoon. Diana Hotel, located in the centre of Valdobbiadene, stand for the ideal starting point for all routes to discover the territory. Very advantageous also conventions with wineries for tastings and tours. From Summer 2009, is 40 years after recognition of DOC, occurred in 1969, the Prosecco prouced in the Conegliano Valdobbiadene DOCG received, thus becoming the 44th Wine Denomination of Controlled and Guaranteed, is much more than a letter: it is the recognition of many years of work to get excellent quality at every stage of processing and production. The brandof the State, the so-called strip, which stamps each bottle a numbered seal so the bottle make it traceable at all times. In this way the costumer can be traced in the history of wine.